My son Conor (aka Conor-the-kins to his mama) celebrated his birthday with a Smurf Cake. Mmmmmmmmm – made from real Smurfs. (Okay, no Smurfs were harmed in the making of the cake or writing of this blog.) We skipped the 17 candles, but as you can see from the picture below went heavy icing. Ever wonder where birthday cakes come from? Well in Dohertyville, that would be The Superstore on Main Street. But what about the origin of this sweet tradition? There are various superstitions about blowing out the candles on a birthday cake. Many believe (and this is the superstition/bit of magic that I grew up with) that if a person blows out all the candles on her/his birthday cake in one breath, they’ll get their wish. Ah, but silence is golden – your wish will not come true if you tell. It is said by some, that the smoke from blown out candles carries their wishes to the Heavens. I like this concept, fire and smoke really have strength of their own in superstition, and adding it to one’s birthday celebration could only make the wish workings more powerful. Long before we were plunking candles on our cakes in North America, they were a popular birthday tradition in Germany. The Germans would put a large candle in the center of a cake as the light of life. This superstition, I heard years ago, but was never one I held on to: you should always have an odd number of candles even if you have to add an extra one, otherwise it is bad luck. Some traditions hold that you can tell how many years before you’re married by blowing with your birthday cake, either by how many candles are left glowing after the first huff and puff, or by how many puffs it takes you to put out the inferno. It’s said that the best day to start a business venture is on your birthday. This makes perfect sense, after all, one’s birthday is their lucky day! 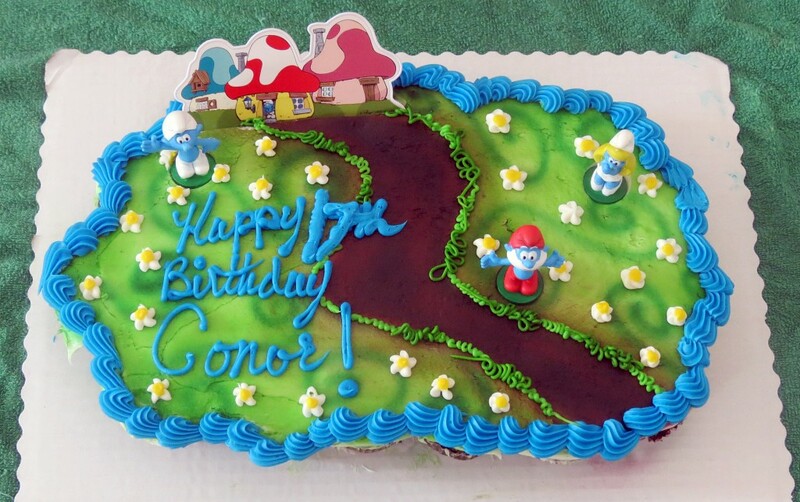 So happy birthday to Conor-the-kins! And yes, the cake was awesome. Beautiful! Wish worthy even without the 17 candles. What about you? Have any of the birthday wishes you’ve ever made come true? I hope so! And I hope you’ll post them here. While we’re touching on awesome cakes, these crack me up! Take a look at these wrecks! We have a winner for our Labradorite! We are very pleased to announce we have a winner for our launch contest. We apologize for the delay in publishing the winner’s name – it took a while to raise her by email. The lucky winner is … Patricia New! Congratulations, Patricia! Your baseball-sized Labradorite is on its way to you. 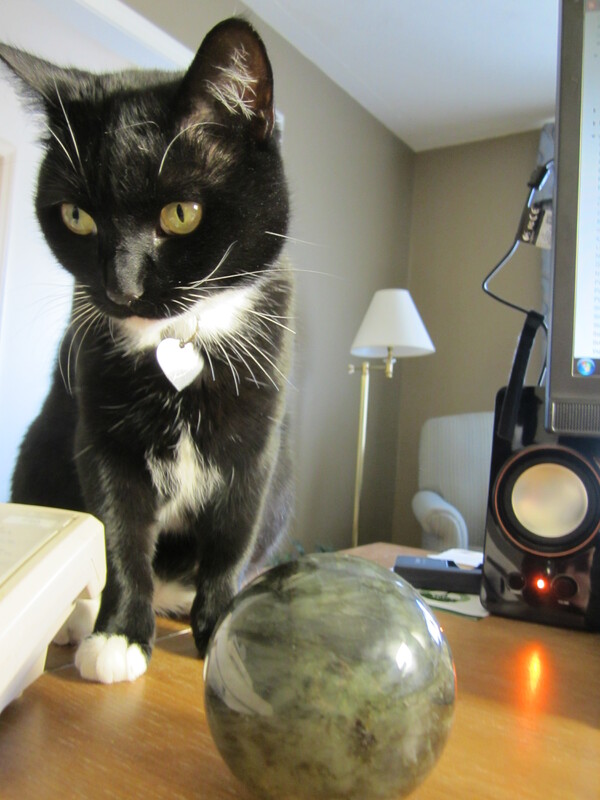 I hope you’ll let us know if you feel any vibes from the stone. 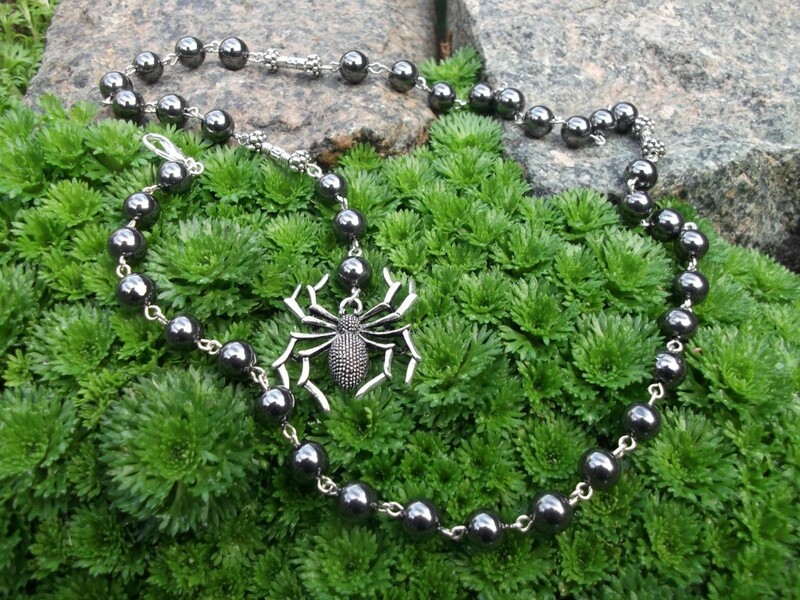 You’ll remember that Labradorite is purported to improve your intuitiveness. Hey, did I mention I’m a writer? The Doherty in the Wilson Doherty team? Hmm, thinking I may have. But what you may not know about me (unless you happen to be married to me – shout out to Harold Doherty!) is that I haven’t a romantic bone in my body. No. Nada. Not a brittle, bitter one. Any sweet/romantic scenes in any Wilson Doherty books are 100% Norah’s brilliant work. Norah happens to be an award winning romance writer, so yeah, better in her hands than mine any day. Don’t believe me? I was just scanning through an early draft of a project and came across this note I wrote: NORAH, CAN THEY KISS/TALK, SWEET BLAH BLAH. And yet, here it is so close to Valentine’s Day, and I’m so excited. 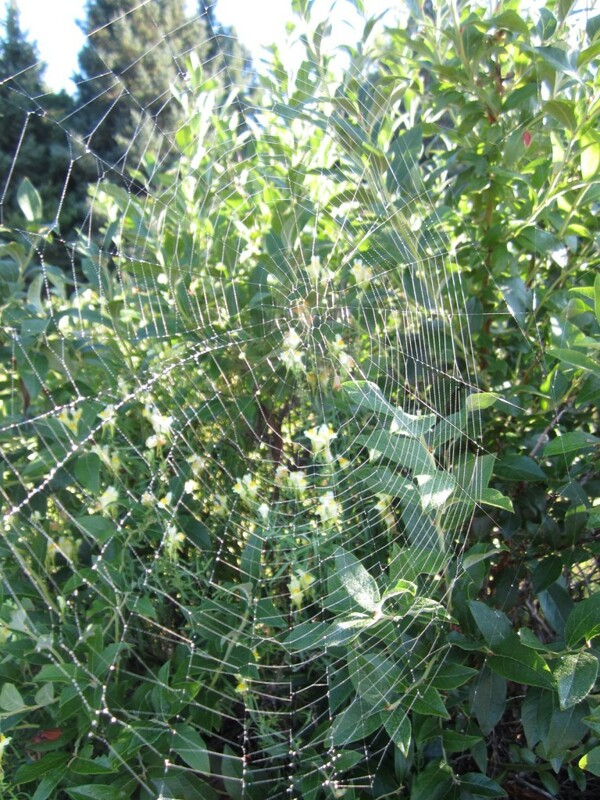 Not for the usual reasons, but because I get to share a few fabulous love superstitions. Sooooooo … wanting to know who’ll you’ll marry? Here are some wonderful Valentine’s Day superstitions to help you with kiss/talk sweet blah blah, er, that question. Unmarried women should look to the skies on Valentine’s Day to see which bird flies overhead. A robin – you’ll marry a sailor. Sparrow – you’ll find happiness in marriage, but not abundance. Goldfinch – A rich union is in the future. Those who see an owl fly overhead, won’t marry. But maybe you don’t want to stand out there in the (brrr) cold and wait for the first friendly bird to fly overhead. Maybe you realize the potential downside to that. Try this instead: On Valentine’s Eve, write potential suitors’ names on small pieces of paper. Roll each up in clay and put them into a small bowl of water. The first to rise to the surface will be your valentine. A very old superstition holds that if you are single, the first person one sees on Valentine’s Day outside the home will be your future sweetheart. Considering how big the world is, and how far and wide we travel now, thinking I’d not put a lot of stock in this one. Got apple? One way of narrowing down the field of future spouses is this: peel an apple in a single strip. Make sure the peel doesn’t break or you’ll have start again. Toss it over your shoulder onto the floor. The peel will land taking the shape of the first letter in your future spouse’s name. Want to dream of your future spouse? Yikes, here’s a salty way to do it. Before going to bed, cut a hard-boiled egg in half. Remove the yolk entirely, and replace it with salt. Put the egg back together, eat it. The one who brings you water as you dream, will be yours. Find yourself a mule with really long ears. (Yeah, this may take a while) and ask it if you’ll soon find true love. If the mule shakes its head: no. If one ear moves: maybe. And if the mule is completely still: yes. Okay, good luck with these! And I hope you have a wonderful, chocolate, apple, mule, bird, egg-filled Valentine’s day … heavy on the chocolate. I’d be really interested to hear if anyone tries these, with success, or not. And of any other Valentine’s day love superstitions you may know. Write me here! Yeah, it’s Superbowl Sunday! Baltimore Ravens vs. San Francisco 49ers. I’m going to make a big, bold prediction about the game, one you can bank on: Beyonce will rock that stadium at the halftime show. That’s it. My one and only prediction. Why? Well, because the Patriots are out. This year, I won’t be donning my New England Patriots jacket in hopes of my amazing fan vibes going forth to aid Brady and the gang. This year, I won’t even be watching. Confession (a boring one; don’t get your hopes up): I’m not really much of a sports fan. But I am a fan of all things supernatural, and all things superstitious. In honor of Superbowl Sunday – this biggest day in sports – here are three famous and awesome sports superstitions. So …. whatcha think of the playoff beard? You know, NHL hockey players stop shaving when their team makes the playoffs, and won’t shave again until they are either eliminated or have won the Stanley Cup. Yeah, I kind of think It is cool too. No, it’s not the actual beards that are cool. It’s the individual’s acknowledgement of powers and forces that we don’t understand, but equally will not deny. It is the collective nod to the fates, to the unexplainable, working around us. It’s the fear of the almighty jinx! Nope, not a baseball fan either (um, this is definitely the Doherty half of the team coming at you now). But even I have heard of Babe Ruth. The story is this: Ruth was sold to the New York Yankees in the 1919-20 off season (and I’m guessing this was a move significantly unpopular with Boston fans.) Before this, the Sox had been incredibly successful. Five world series titles. After selling the Bambino? Not so much. It was 84 years before the Boston Red Sox won another World Series, whereas the Yankees went on to great success in the decades that followed. A curse? Yes. A real honest-to-goodness curse. And it did what any good curse would/should (will!) do the mindset of the individual and collective until the ‘fate’ set out could only come true. I love this 2002 cover. But wonder how much the dudes at Sports Illustrated do? 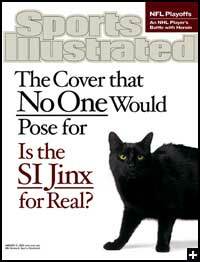 Superstition has it that individual players or teams who appear on the cover of Sports Illustrated will then be jinxed. (Ah, there’s the awesome word again.) Okay, Michael Jordon graced the SI cover many times, and well, he did all right for himself. But then again, he IS Michael Jordon. This superstition I can really see happening, then catching on like fire. An athlete sliding down hill after a cover. See that happen time and time again … it would be very hard for a player to then go forward with a cover. To risk that slide – that bad luck. How slippery the slope! Would I do it? Would I take a cover spot? Well, chances are Sports Illustrated won’t be seeking me out for their cover – my 20 minutes on the elliptical at the gym probably is not what they’re looking for. But honestly, were I a pro athlete, doing great, about to go forward into a championship match, and was offered the SI cover … would I do it? Pffft … not a hope in hell would I. Why? Because when it comes to our passions, we don’t want to change our luck. We do NOT want to jinx ourselves. In a nutshell: we don’t tempt fate. We give these nods to the unexplainable. So though I won’t be in my Ravens or 49ers gear, I’m guessing lucky sweaters will be worn by more than a few around North America. And wow, they’re so right to put those on. Got the beard thing going for you team? For the love of all things football – don’t touch it till after the game!